I would like you to offer a review of Golden Stage project called NordeBank that offers middle/long term investment plans. In this project, I have reinvested $400, and it is monitored here since 28th of February. Even NordeBank is a quite simple project I'm sure you will notice that administrator has developed it from scratch. More in the review. From the first sight, it is clear that administrator has invested good capital into development because there are so many details in this project that makes it better than the greatest part of projects out there. You know in the world where all HYIP designs look the same I'm happy to see something that is fully adapted for mobile devices and seems that most of the pages are somehow nicely customized to give an even better look. Same stands for member area, everything is beautifully made and responsive (adapted for mobile devices). It seems that this is one of those projects where everything is done in such level that I can't say anything bad about it. The only thing that I do not like here is that I don't see any activity in social media. With that, I mean that I was not able to find any official social media accounts of this project. Sometimes, maybe it is just good because usually, HYIP administrators purchase "fake followers" and no real interaction on the social media pages is going on. It overall seems that NordeBank is operated by true professionals because for newbie administrators it is not possible to get such security features as SSL "Green Bar," or simply they do not have money to get such feature. Of course like in any professional project also there is an incorporated company behind it, but I would suggest not to believe everything that you find on the internet. 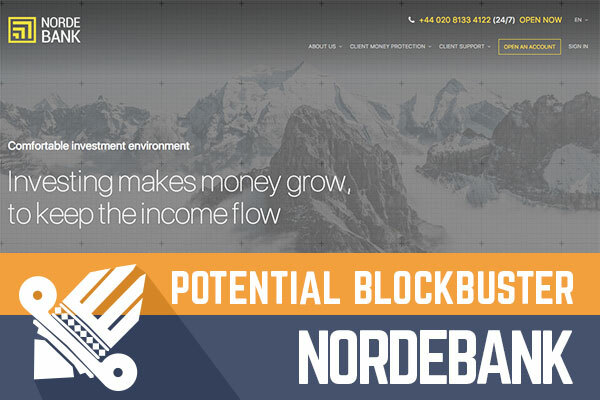 NordeBank offers four investment plans, and I think that interest rate is quite big what this project offers, but I'm truly confided that it is one of the reasons why there is so many people around that have invested into this project. First of all, I would like to draw your attention that initial deposit is returned at the end of investment term, so for example in the 15-day investment plan, you will make 2% daily what in the end will make 30% profit. After these 15 days, you will receive the initial deposit back, and at that moment you can decide - withdraw it all or reinvest for another investment cycle. All other investment plans work in the same way, but they are 30 days, 60 days and 100 days long. Of course, the project will not run forever, but I believe that first two investment plans are relatively safe. If you would like to know what payment options are accepted by NordeBank than I can say that everything is quite standard here. You will be able to invest with AdvCash, Perfect Money, Payeer and well-known cryptocurrency Bitcoin. Another thing that is quite nice is that withdrawals are processed instantly, and you will receive money on your wallet at the moment when you will request your payment. Of course judging by lifetime only first investment cycle has been finished, and as you understand this project is still on early stage. 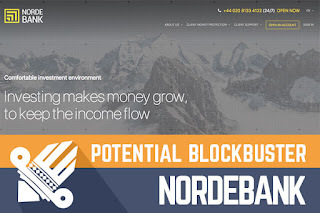 These days when there is big scam wave around I believe that projects that will survive it will be the next leaders of this industry, will NordeBank be among them, I'm not sure, but I'm confident that next weeks will show that. As usually, I would like to end this review by reminding you to invest only that you can afford to lose because of any project, also this one can close even tomorrow. Investment plans: 2% daily for 15 days, 2.5% daily for 30 days, 3% daily for 60 days, 3.5% daily for 100 days, initial deposit returned at the end of the investment term.